Cypriot passports are carried by citizens of Cyprus for international travel. Each Cypriot citizen is also a European Union citizen so the passport, alongside national identity cards, permits free right to travel and residence in any of the European Union. The Visa Restrictions Index of 2016 allows Cypriot citizens visitation privileges to 159 nations without a visa. 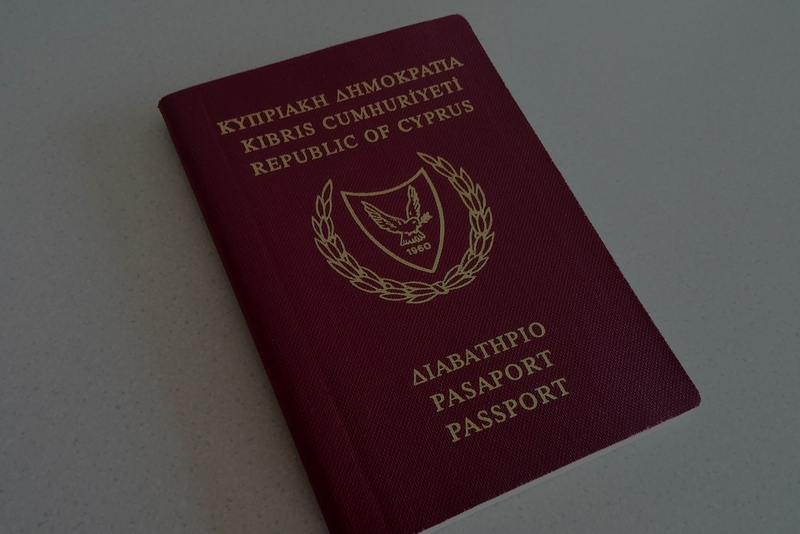 Application for a Cypriot passport should be made through the Civil Registry and Immigration Department of the ministry of the Interior. Cypriot passports contain text in Turkish, English and Greek. Turkish Cypriots may obtain Cypriot passports and ID cards if they are able to prove descendancy from a citizen of the Republic of Cyprus. Turkish settlers in the northern part of Cyprus are not allowed to receive Cypriot citizenship. Cypriot biometric passports have been issued since December 13, 2010. The text is in all official languages of the European Union. Each passport carries a microchip containing biometric data including fingerprints, a biometric photograph and digital signature. The interior pages are watermarked with images of a statue of Aphrodite, a dove carrying an olive branch, the Cypriot mouflon and images of the Kyrenia ship. With a Cypriot passport, you don’t have to wish for being home — you ARE home. Your passport — granted when you gain Cypriot citizenship — is your key to luxury living. From the fresh beaches and shimmering waters to the rich meadows, Cyprus is home to a population which embraces you. With your Cypriot passport, you can not only indulge your champagne taste for life’s finer things on a μπύρα budget, but you can travel freely and visit the historic capitals of Europe — and anywhere else in over 155 nations you want to visit.